Since HP SmartStart CD went the way of the dodo bird before Windows 2012 R2 was released, HP ProLiants older than a Gen8 require administrators to manually install Windows 2012 R2. On ProLiant Gen8 and higher, you have Intelligent Provisioning – the replacement for SmartStart – embedded on the system, but this isn’t available on G7, so the user needs to manually install Windows according to the “Implementing Microsoft Windows Server 2012” technical whitepaper. In the case of the HP ProLiant DL380 G7, the normal Windows installation doesn’t recognize the P410i storage controller during installation and it fails with the strange “We can’t create a new partition or locate an existing one.” Searching forums, you find several solutions suggesting boot order or removable mdia like USB or SD storage causes the problem in many cases, but for the DL380 G7, however to get past this on my servers, I needed to download the storage controller driver and add it during installation. You will need a USB drive where you can load the drivers during Windows installation. Browse out to hp.com and go to the Drivers & Software download section or directly to http://www8.hp.com/us/en/drivers.html. Search for the DL380 G7 in the search and click on the link for the server displayed after search. Select Windows 2012 R2 as the operating system dropdown. Navigate to Storage Controller and download the latest “HP ProLiant Smart Array SAS/SATA Controller Driver for Windows Server 2012 x64 Edition.” If you use this link, make sure to check revision history to ensure this is the latest available. Click the Download button and then run the .exe file. Use the Extract button to copy all the files onto a USB stick. 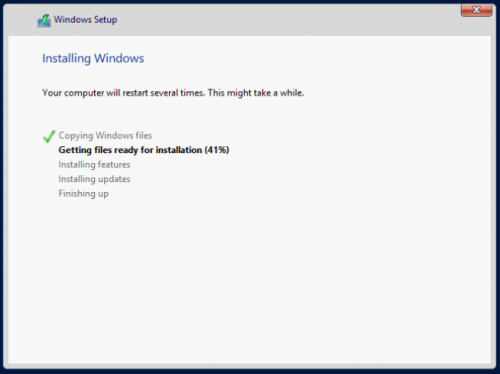 Boot the system and begin Windows 2012 R2 installation from CD or from ISO connected via remote console on the iLO. Storage window – choose Have Disk. Make sure USB is plugged in on the server. Click next and the installation will now continue instead of giving the error. Amit is right, ran into the same problem. After going into the configuration menu of the SATA Controller and setting the boot volume/order to the first logical disk it worked without issues! I have dl385 g7 with p410i. but unfortunately, still cannot install Windows Server 2012 R2. As Amit suggested, I changed boot order but without any success. I’ve managed to install Windows Server 2012 R2. I used SmartStart for installing Windows Server 2008 R2, then I made upgrade. Also I’ll try to remove an SD Card. It’s possible that it prevents Windows to install. Great thanks to Amit and CR – I had been loading the driver for the 410i controller – but some G7s would install Windows and some would still complain they couldn’t use the drive. Sometimes trying, failing, and then going back a few screens would help. But on the most stubborn example, simply changing the boot order from the BladeSystem OA so that C: was on top literally made it work on the fly – no reboot necessary. It’s old crappy hardware, so I probably will never come up against this again, but this is one resolution I won’t forget. I had to update the firmware of the storage controller, bios, iLO and power management controller from an 2008R2 install,then 2012R2 installed perfectly without even asking for a driver. I updated the smart array P410i firmware, then in array configuration utility I deleted the array and recreated it, then Window 2012 R2 installed OK.
Steps 1 to 11 didn’t give any error. Installation of Win 2012 R2 was success on HP DL 380 G7. Thank You Philip sharing the knowledge. I am so glad I stumbled across this article via Google. Thank you, Amit your suggestion was spot-on – change the sequence of the Disk controller to SATA first and the Array controller to second. I also changed the boot-up sequence as I’ve heard some hit and miss stories about USB 3.0 sticks used so I demoted the USB and promoted the HDD to a higher boot sequence order. Tank you Philip & Amit. I finally got 2012 R2 installed on my G7! That worked like a charm ! Thank you very, very much for writing this article. It tool me hours to search for a solution and only 20 min to implement it.